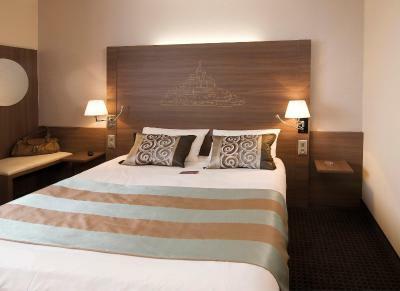 Lock in a great price for Mercure Mont Saint Michel – rated 8.3 by recent guests! Booking was easy and the information was accurate. The breakfast was just OK, nothing special. Dinner was good. 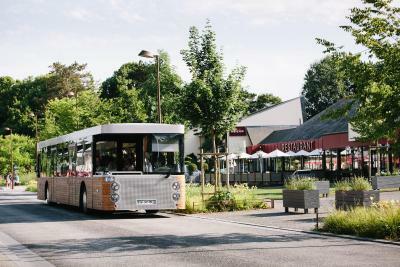 The hotel is right along the main path to hop the bus to Mont St Michel proper--the bus stop is right in front of the property. Even though it was raining, I chose to jog the 1.2 miles to the island and it was a very scenic beautiful run. I would highly recommend walking to the island if you are physically able so that the landmass gets closer with each step and you can really admire the features. 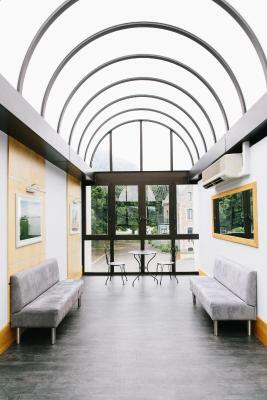 The hotel is quite basic but perfectly clean and felt cozy and comfortable for one person (for a couple would be fine as well). After my run (started pouring on the way home so I got soaked!) it was a real treat to soak in the deep bathtub. 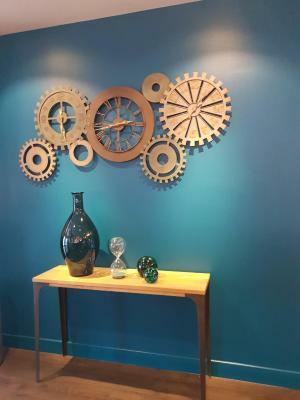 The location was great, and the room was clean and well equipped. The staff was also extremely helpful. Great! 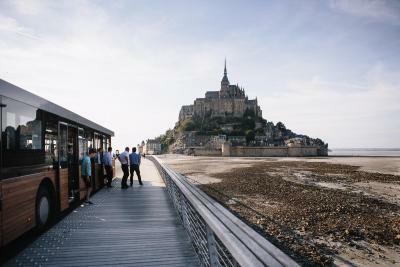 Walkable from Mont St Michel. Great location. 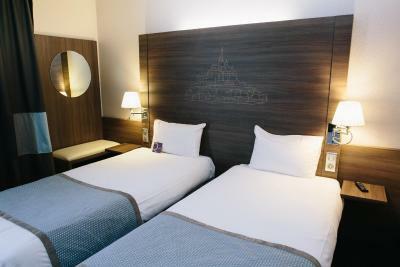 Nice comfortable rooms. Go planned with a pin code for entering the parking - I went without speaking to the hotel and had to take a detour. Speak to hotel reception and get your code to enter the area where hotel is situated. I love the proximity of the hotel to MSM and its beautiful surrounding. The staff were very friendly. Maybe we arrived during off-peak season, it was quiet and peaceful, even on the main street. The shuttle bus to MSM stops right in front of the hotel. Comfortable bed and pillows. Toilet separate from sink and shower. Shuttle service to castle. 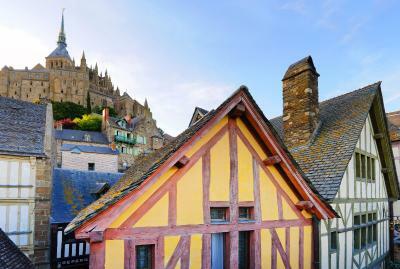 The location is exceptional, based in the Mont Saint-Michel village. Bus stop was 50 meters from entrance. There was enough parking lot in spite of the hotel was full. 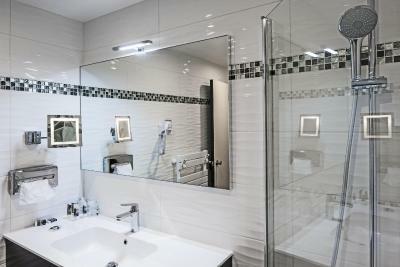 Perfect location, within the exclusive Mont Saint Michel zone. Shuttle bus stops right in front of the hotel. 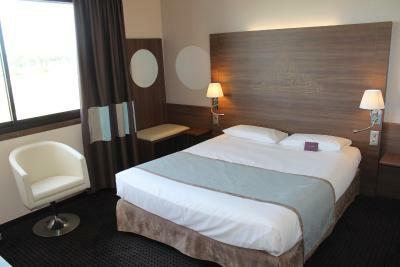 The air-conditioned rooms at Mercure Mont Saint Michel are equipped with facilities for making hot drinks. 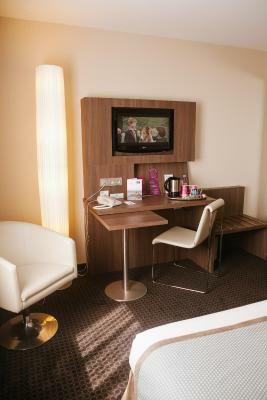 A flat-screen TV with satellite and cable channels is also provided. 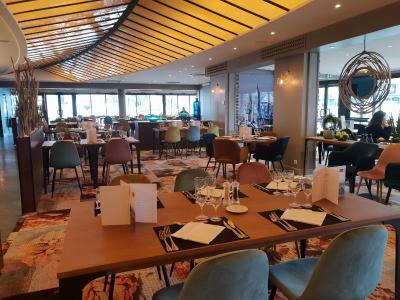 The restaurant, Le Pré Salé, is famous in the area and serves delicious seafood and regional specialties. 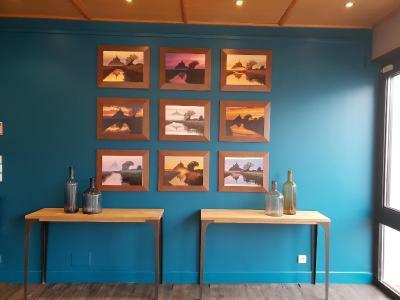 The bar, Le Normandy, offers a relaxed setting for a drink among friends. 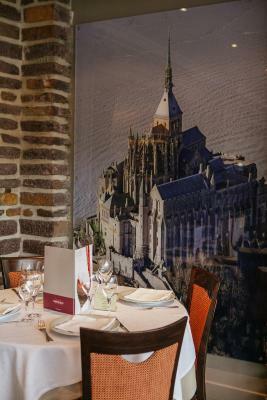 Mercure Mont Saint Michel is 4 mi from Pontorson and 32 mi from Saint-Malo. 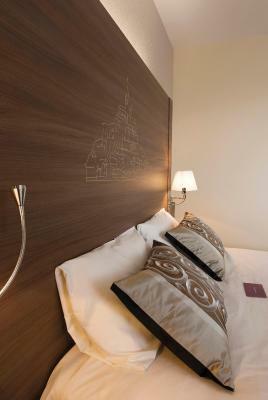 When would you like to stay at Mercure Mont Saint Michel? 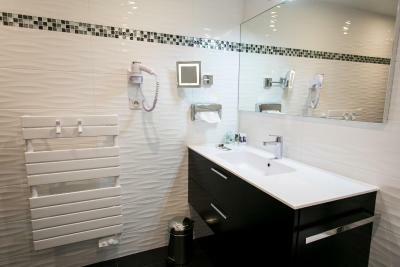 This room with a private bathroom is air-conditioned and includes a flat-screen TV and facilities for making hot drinks. 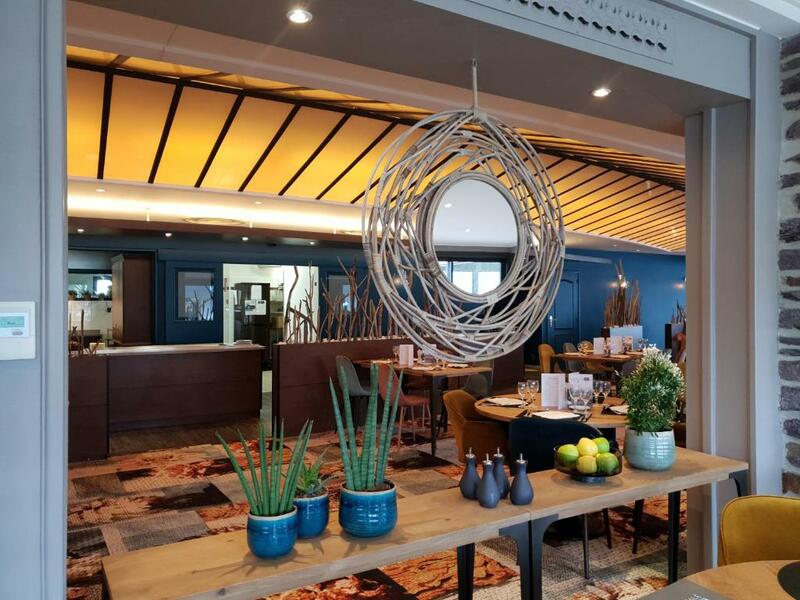 House Rules Mercure Mont Saint Michel takes special requests – add in the next step! 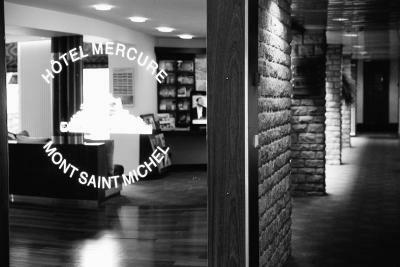 Mercure Mont Saint Michel accepts these cards and reserves the right to temporarily hold an amount prior to arrival. The toilet is tiny and separate from the bathroom and has no sink, so you have to go to the bathroom to wash your hands. The internet is weak and slow. The room, the breakfast and above all the location. The staff is polite and helpful. The breakfast is also good, though it could be better for a 4 star hotel - lack of vegetables. 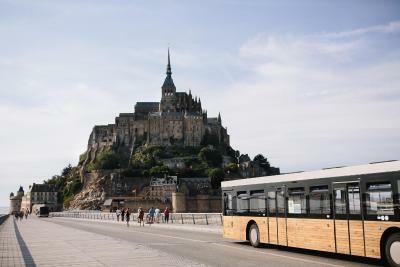 Bus shuttle stops in the front of the hotel and takes you to Mont Saint Michel in 5 minutes for free. 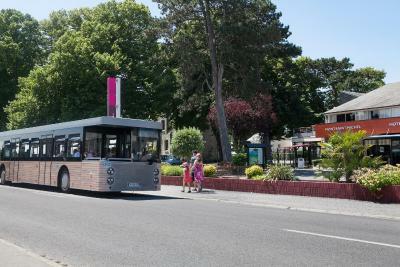 Busses run every 10-15 minutes. 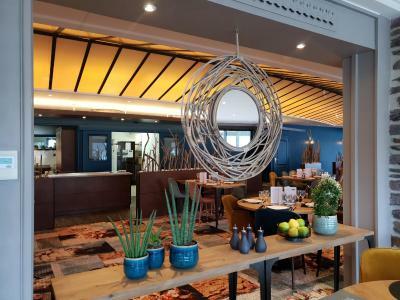 Very good restaurant acrossthe hotel with excellent food and reasonable prices. The hotel reminded me of a Disneyland hotel I stayed in the 90s. Facilities are not bad per se but felt dated and basic, considering the price. 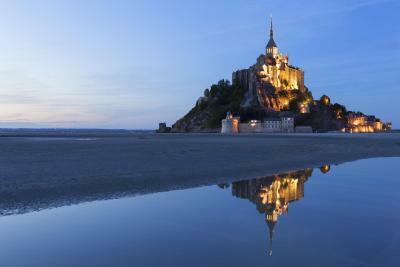 The location is absolutely great to visit Mont Saint Michel. 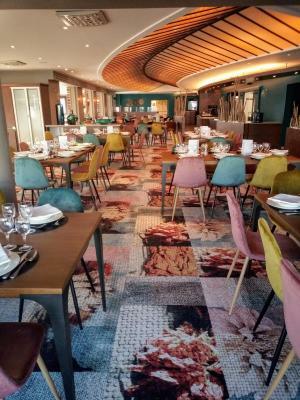 The restaurant has a fair price and good quality food. Location is more than perfect, very centre of the village just in front of the shuttle bus stop to Mt Saint Michal and shopping store. Even you may be able to walk to the MSM from the hotel if you want. Breakfast is very good you can have it with your pet. The room is comfortable. Staffs are nice. The room was comfortable and well appointed. The restaurant was also first class, the evening meal being a particular high point. Breakfast was also excellent. 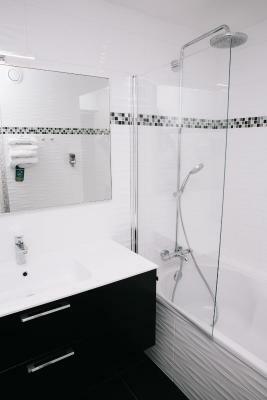 The room smelled like cigarette smoke, had stained floors and the bathroom was old looking, not at all like the pictures posted on their website. Very basic looking room - I expected a much nicer room considering that this hotel is part of the Mercure chain and also considering the high price I paid (over a 100EUR per night) despite the fact that it was off season! I dread to think the rates they charge during the high season.... Also, there was a plumbing problem with the bath in my room so it was difficult to get the water to drain out after bath and it made very weird noises! Again, not the quality you would expect from Mercure. Location is perfect. Staff friendly. Room perfectly clean. This place was excellent!!! The location within the cordoned hotel zone makes it easy access to the mount. 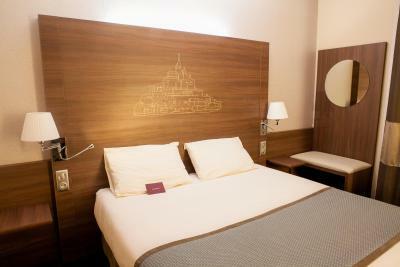 Though slightly dated the rooms were fair and the bathrooms very well done. It was the quiet season so who knows how it is in the summer. Would definitely stay there again. No accessible rooms. All other rooms have step into room making wheelchair access impossible. Old-fashioned keys very difficult for elderly people to use. Extremely heavy doors and very narrow entrance ways into every room. Wheelchair accessible front entrance isn’t an automatic door. Failure of staff to see lack of access as a big problem - poor training and an unsympathetic attitude. Good restaurant. 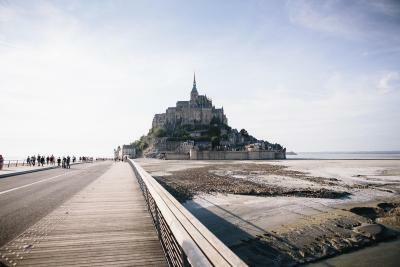 Close to Mont-Saint Michel.